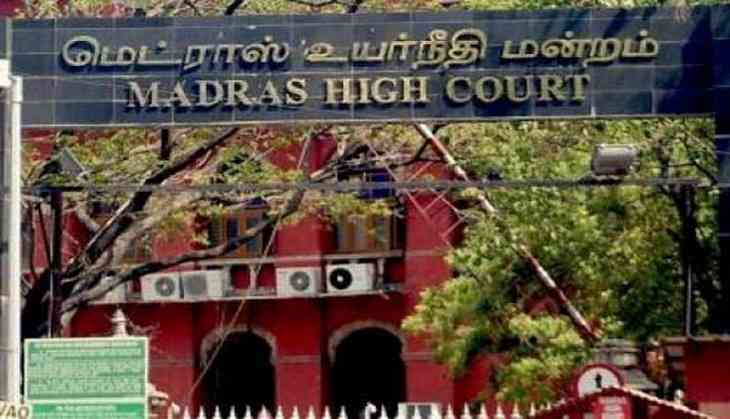 The Madras High Court on 27 October dismissed a petition seeking to revoke the censor certificate of the controversial movie 'Mersal,' citing that it was only an imaginative story and that the freedom of expression was there for all. 'Mersal' was in the midst of a controversy after the Tamil Nadu unit of the Bharatiya Janata Party (BJP) demanded the removal of certain dialogues, which take a dig at the Goods and Services Tax (GST) and Digital India programme. The High Court, in this context, said, "Why was there no complaint against smoking and drinking in films or about the projection of LGBT? A film is only a imaginative story and it is not real life. If someone doesn't like a film, a person can refrain from viewing it. The freedom of expression is there for all." The Mersal issue had got further communalised when a BJP member said that actor Vijay took an anti-GST stance only because he is a Christian. Tamil Nadu BJP president Tamilisai Soundarajan and Union Minister Pon Radhakrishnan have been demanding that the "incorrect" references be deleted from the big-budget flick. However, Congress vice-president Rahul Gandhi, his senior colleague P. Chidambaram, DMK working president M.K. Stalin, Tamil superstar Rajinikanth, veteran actor Kamal Haasan and a host of Tamil cinema industry representatives have supported the cast and crew of the film. Mersal, directed by Atlee, also features Samantha, Nithya Menon and Kajal Aggarwal. The film released worldwide on 18 October.